One of the most common questions I get with epoxy floors is if it is necessary to prime the floor before applying the epoxy floor coat. 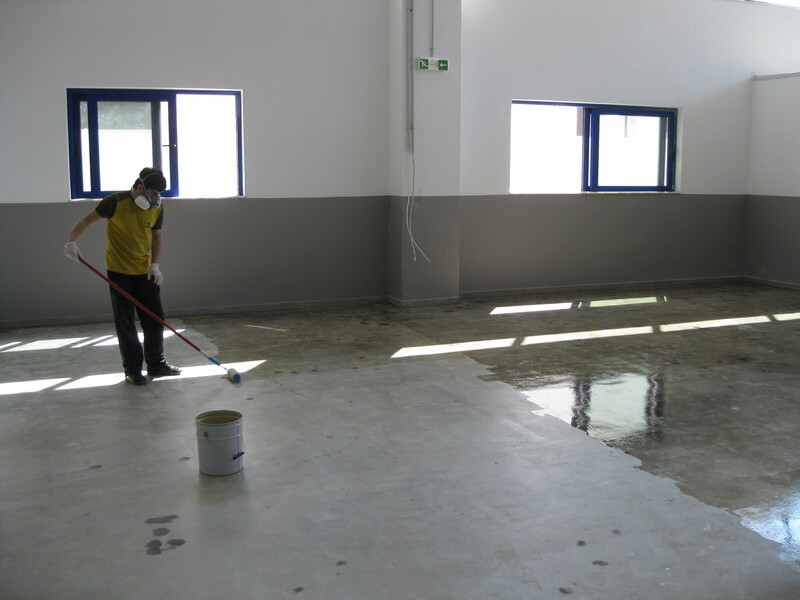 Many contractors would like to avoid priming epoxy floors, as priming means at least an extra day of work as well as the additional cost of purchasing the primer products. Flooring professionals are actually divided over this issue, but let me just say that I belong to the Priming is necessary camp. So in this article I am presenting five great reasons why I always recommend the use of primer. 1. Let’s start with the most obvious: Adhesion. The floor primer penetrates the substrate and enables the bonding of your floor coat to the substrate. The right primer will guarantee better adhesion of your floor coats to the substrate. It will give your floor a longer life and will reduce the risk of the coat chipping or breaking. 3. Priming helps you get a feel for the floor. When you work with old contaminated substrates the floor may have absorbed all sorts of chemicals like oils, paints, greases, moisture etc. By applying a coat of primer you can see how the existing substrate will react to the epoxy. This way you can take precautionary measures before it is too late to act. I was once having a wall prepared for a wall coat only to see it turn red after we applied the primer (true story). Another time we assumed that all the oil had been removed from the surface – only to see the oil rise again to the surface of the floor. 4. Priming will reduce the chance of the coat being absorbed by the substrate. Sometimes substrates can be very dusty and absorbent. If you try to apply a coat on them you may end up getting an ugly matte look as all the fluids have been absorbed by the substrate. Use primers to seal off the surface before you apply the paint coats. An extra coat of primer may actually save you on consumption of epoxy paint. 5. 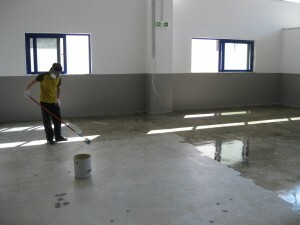 Finally no matter how well you clean the floor there will always be some microdust stuck on the surface. Priming is a great way to eliminate this dust and to create a nice well sealed surface. What are your experiences with flooring primers? Do you agree that we should always primer first?